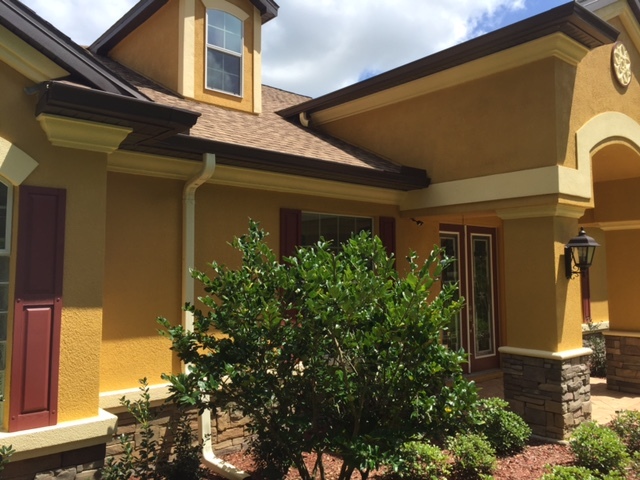 Our 6″ Seamless gutter system is the top of the line. 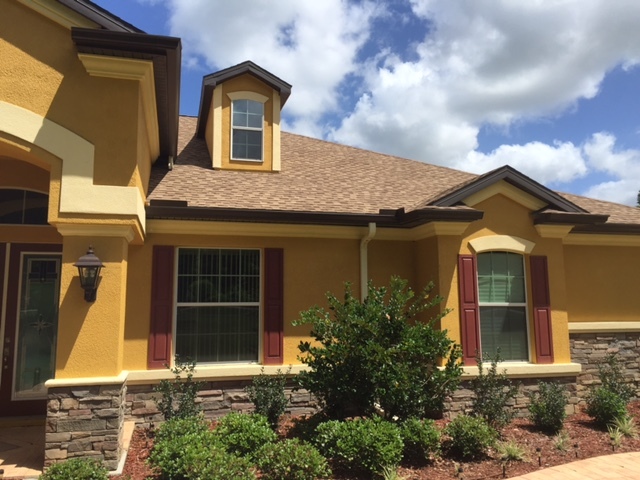 We use only the finest materials and form the gutters on site for a custom fit. 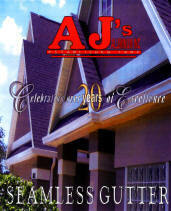 The .027 gutter coil that we use will provide a long lasting, better looking gutter for the life of your home. 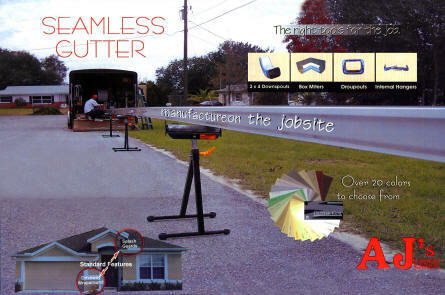 Gutters are Manufactured on the Jobsite for a Custom Fit! 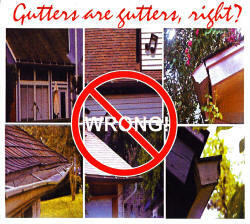 Poorly installed, or undersized gutters can cause improper flow and drainage. This can lead to major damage to your fascia board, your roof, and sometimes even the inside of your home! 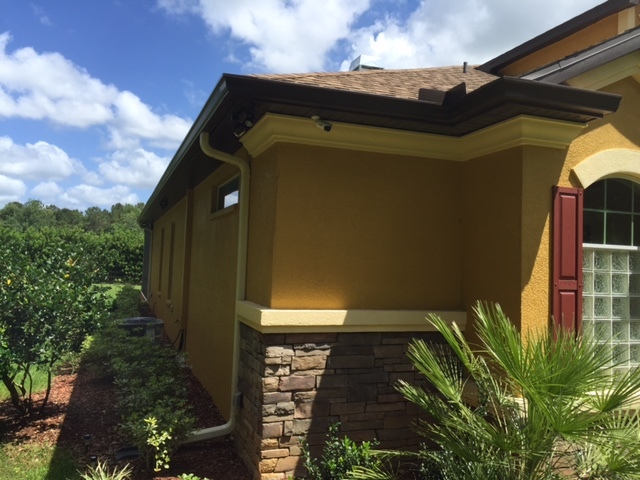 Let AJ’s Aluminum, Inc. design you a custom gutter system that will provide a lifetime of protection against the severe rain Florida receives every year.